The figurative language of Lisa Brennan-Jobs…. I like to share interesting pieces of figurative language I encounter in my reading. 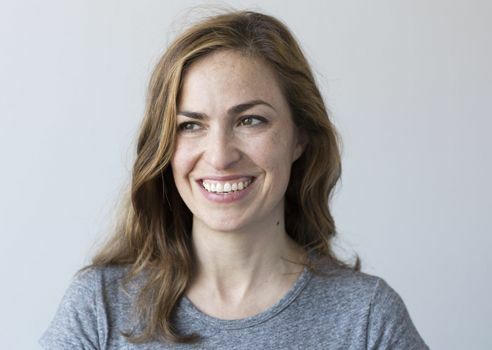 I write today about a series of similes from Lisa Brennan-Jobs…. When I read the rave reviews of Lisa Brennan-Jobs’ memoir, about her life with her father Steve Jobs, I rushed to buy her book, Small Fry. I should have waited for a library copy. Somehow, I had expected something more. Something better written. Something more insightful. The sun made lace on my legs. A few leaves clung to the branches, shoots of grass like whiskers grew around the base of the trunk, with dirt clods visible between the neon blades. The surface [of a trampoline] was the size of a small pool and caught light like an oil slick. Fuchsia dangled from bushes in yards, stamens below a bell of petals, like women in ball gowns with purple shoes. His jaw clenched on and off, making a rippling pattern in his skin, like a fish beneath the surface of a pond. His voice was high, loud, and nasal, with sharp points at the end of his phrases that hurt my ears and knifed into my sternum. Her bottom teeth were fine, but crowded, like too many guests mingling in a small room. He was a popular sixth grader with white-blond hair, a long neck, and ears that stuck out like delicate shells. The staircase looked wet, dripping down from the second floor, each level of stair opening wider than the last, like molasses poured from a jar.